Commands extensive experience is providing Cinemas with supply, installation and support services provides our customers with the right solution - on time and on budget. Cinemas can be a complex area for installation and our experience with many cinemas gives us the knowledge to supply our customers with the right equipment. 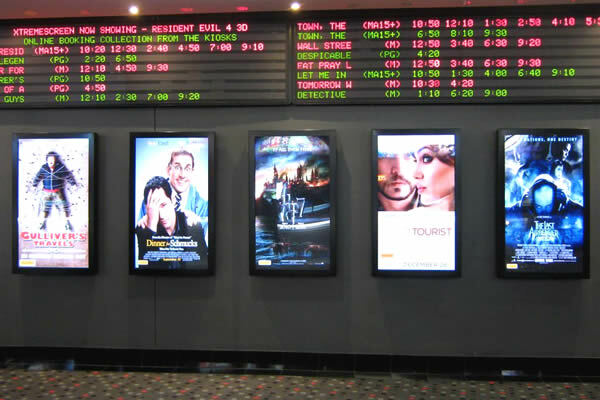 Digital Signage is the Perfect Fit for Cinemas and Theatres.